We have reviewed a selection of games from Orchard Toys which have been sent to us. These will help you and your child to have fun - family games are great to enjoy and bring all ages together. "Orchard Toys started out around a kitchen table making blocks and stencils for a local nursery school. Now, over 40 years later, we ship to over 50 different countries around the world and are recognised as a leading manufacturer of educational games and puzzles both in the UK and globally." Orchard Toys have a great range of associated activities on their website - these really extend the value of the games. Like many of Orchard Toys' games, this is an excellent combination of fun and learning. The objective is to collect as many scarves as you can for your giraffe - and with its long neck, the giraffe can wear lots of scarves, but the tallest doesn't necessarily win! The playing pieces are made of strong card, and they just need pressing out before play starts; the rules are easy to follow and the game is engaging for young children. The illustrations are gorgeous, brightly coloured and great fun, with quirky giraffes to delight children. To play, just roll the colour marked dice, then pick a card and build your giraffe. Many early learning skills come into play - colours, counting, memory, observation as well as strategy and turn taking. The game is designed for ages 4-7, and for 4 to 6 players. Buy from Orchard Toys. This challenging 150-piece geography puzzle is suitable for ages 5 to 10. It's a brilliant way to help children learn about world geography. So often, children are familiar with the names of countries, but have little idea where they are in relation to others - or of the distances involved. Made to the high spec we have come to associate with Orchard Toys, this colourful map, which includes lots of small pictures, is on strong durable card and the pieces fit together well. It clearly displays the continents, which are colour-coded, and countries as well as showing local inhabitants, creatures and landmarks. There's a lovely giant poster included too, which is a real asset and perfect for displaying in a child's bedroom; it includes a keychart showing the icons that appear on the map. Both the map and the poster offer almost endless possibilities for discussion and extending learning. Where do your friends come from? Which countries did the animals we saw at the zoo come from? Why is it dark in Australia when it's daytime here? What language do they speak in this country? Jigsaws offer many more educational benefits too, including developing hand-eye coordination and fine motor skills, as well as observation and confidence; a big jigsaw like this is great to share too. It's a jigsaw that will be used for many years, with parental help initially and then children will enjoy the satisfaction of doing it on their own and learning about the world at the same time. Why not make sure there's an atlas on hand too? Buy from Orchard Toys. 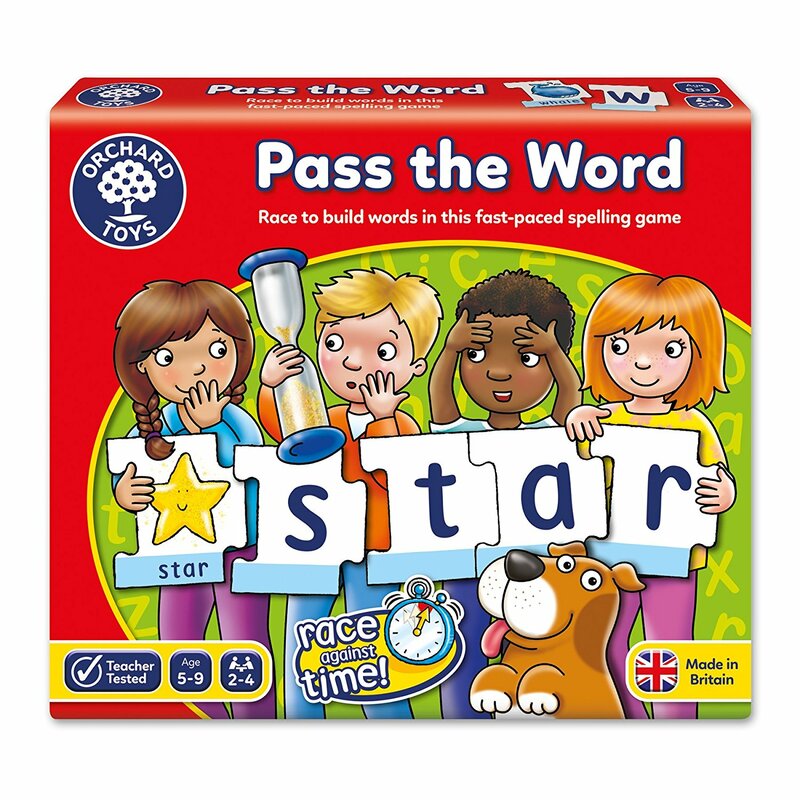 This well-paced spelling game is ideal for children aged 5 to 9 and it's a fun way to reinforce those spelling skills as well as word recognition - children will hardly realise they are learning! There are 17 word cards and 67 letter cards. 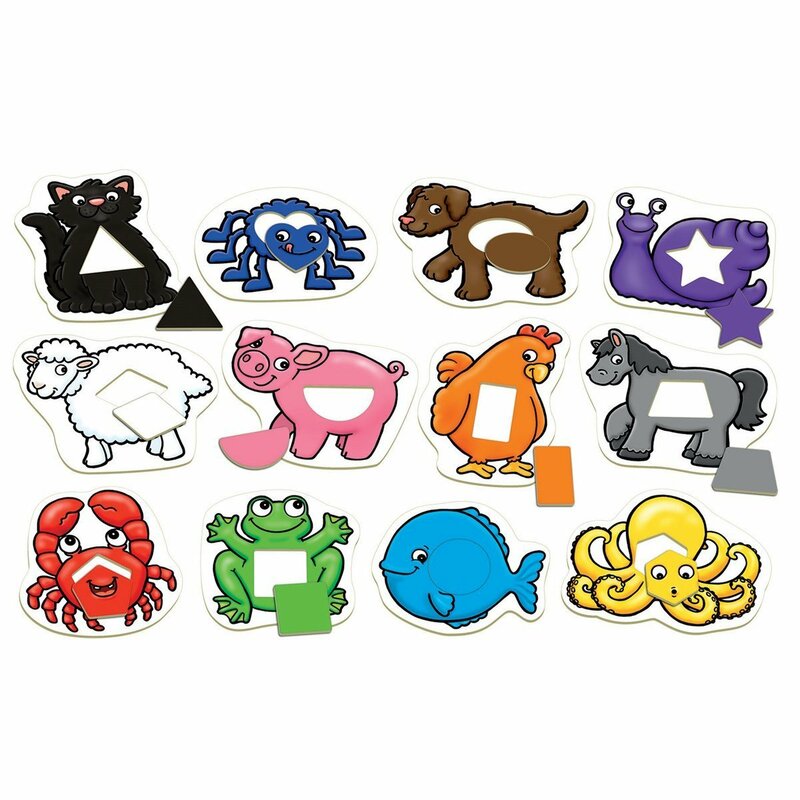 Place these face down on the table and then players take it in turns to build words by turning over a word card and finding the letter cards to spell out the word. The action is kept going as players race against the sand timer to spell out their words... when the time runs out, the letters have to be passed on to the next player. The winner is the player who has managed to complete the most words when the pile is used up. There are many different ways in which the game can be used to enhance literacy skills, and for younger players it can be played without the timer - or give them two goes! It can either be played as a game for two to four players, or simply see how many words you can make with your child. It's good to help with letter recognition - we tried using nonsense words, just like the phonics screening and that was fun! Buy from Orchard Toys. This is lovely for young members of the family, and it's great to see that children from 18 months up can join in games with their older siblings and friends - up to four at a time. This jungle themed matching activity, with 24 chunky cards, is perfect for a first game, with its friendly animals, many of whom little ones will recognise and be able to name. 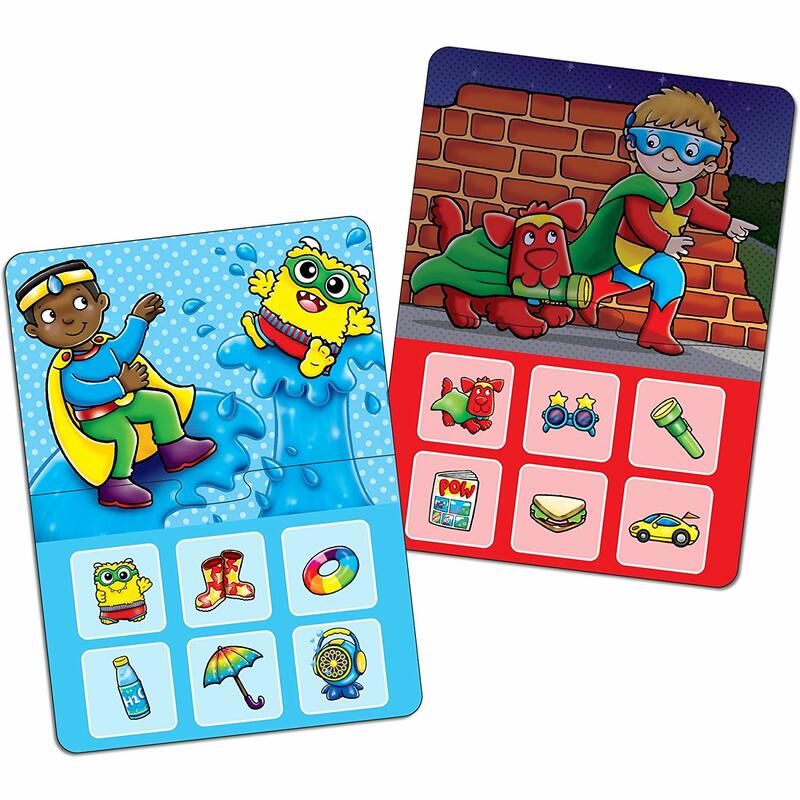 The cards are shiny, durable and wipe clean - essential at this age! The game helps to develop early matching, memory, concentration and observational skills, as well as that key skill of taking turns. It also develops conversation, as young ones are encouraged to talk about the animals. It can be played at two levels - turn the cards over for a more complex game. Don't worry if you lose the instructions - Orchard Toys usefully make them all available on the website. Buy from Orchard Toys.